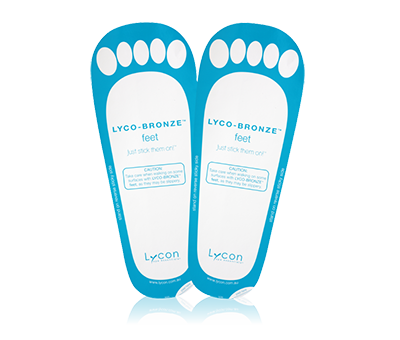 LYCO-BRONZE Feet are the perfect spray-tanning accessory! 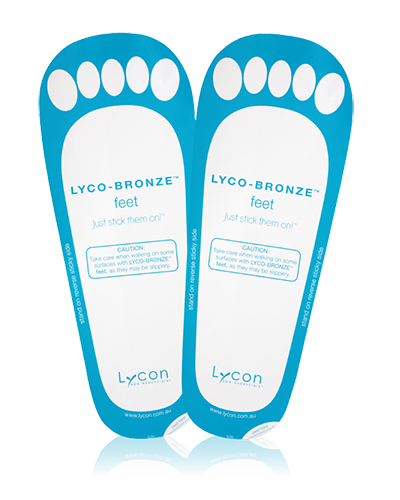 Stick them on to protect client’s feet from absorbing excess solution during spraying and to protect your salon from unsightly tan stains. Easy-to-use, simply peel off and step on!